In 2013, a couple who lived in California was walking their dog on a trail within their property limits until the husband spotted a rusted metal can sticking out of the ground. He dug the can out of the ground. When he lifted it, he found out it was extremely heavy. They soon learned why when the lid cracked open and exposed a gold coin. The couple became ecstatic and eagerly hauled the can to their house. While exploring the canister they pulled out many more gold coins. They quickly returned to the site and dug the area for more cans. To their astonishment, they excavated seven other containers of different sizes, filled with more gold coins. The entire stash totaled 1427 gold coins. A majority of them were Double Eagle $20 pieces. $10 and $5 gold pieces were much fewer in number. The face value of the Hoard amounted to approximately $28,000. So, why were these valuable coins buried there? Two theories come to light. First, people who don’t trust banks often stash their money in a hidden place, such as in a mattress, or an underground vault in the back yard. But, they die before retrieving their stored cash, and someone else stumbles upon it years later. Second, bandits who steal money, pursued by authorities, bury their loot until they come back to retrieve it, but they never get to it. According to an article on the “Mashable” website, The Crazy True History of the Saddle Ridge Gold Coin, author Lance Ulanoff and other personnel at the website discovered likely information about where the hoard came from. In the August 10, 1901 copy of the Bulletin of The American Iron and Steel Association, $30,000 face value in gold coins were stolen from the San Francisco Mint and were never recovered. Further investigation revealed that an employee, Walter Dimmick, who worked at the Mint between 1898 and 1901, was charged with stealing $30,000 in $20 gold coins. Dimmick was caught but the money was never recovered. Interestingly enough, the Hoard yielded almost the same amount; if the $30,000 that were stolen turned out to be the Hoard, amounting to $28,000, what happened to $2,000? Perhaps the thief took it with him. Although many believe the Hoard was hidden after the coins were stolen, another theory suggests that the hoard could have been hidden by a particular secretive society of Confederates known as the Knights of the Golden Circle who hid gold coins in many states to finance a second civil war. This theory is probable but there is little known about these Knights. Few stories have emerged about them. The California Gold Rush began in the early months of 1848. James Wilson Marshall, a sawmill operator, discovered gold nuggets while building a water-powered sawmill along a river in the northern part of the state. Soon, word got out that a man had found gold in Sacramento, California. The rest of the world read about the news. For eight months thousands of Americans had left their homes and moved to California to look for gold. In 1849, over 100,000 people moved to California and became gold miners. They were commonly known as “forty-niners.” By 1855, over 600,000 people from all around the world made their home in California to hunt for gold. By this time, miners and prospectors had uncovered billions of dollars in gold. There is little room for doubt that the Saddle Ridge coins were minted with the gold collected by Gold Rush miners. So, it’s not surprising that the Saddle Ridge Hoard was discovered in “gold country” California and that most of the coins were minted between 1847 and 1894 at the San Francisco Mint. The discovery of the Saddle Ridge Hoard is intertwined with the California Gold Rush. If miners had not come to California and not diligently worked to find so much gold, the Saddle Ridge Hoard would have never existed. Those gold coins reflect the success of so much uncovered gold from 1849 to 1855. 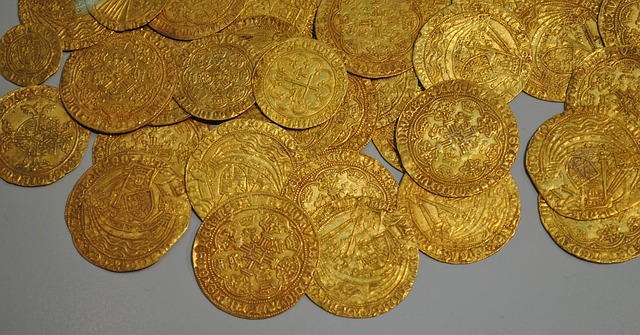 Months after the Hoard’s discovery, the couple allowed a highly reputable coin firm handle and sell most of the gold coins. In 2014 they had been auctioned to the public for over $10 million dollars. It goes to show that to this day after so many years, the gold rush still continues to impact individual wealth.